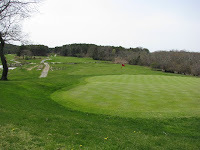 NEW LISTING - This Wellfleet lot represents a rare opportunity to own a golf course fronted lot, probably the only such opportunity north of the Eastham rotary. 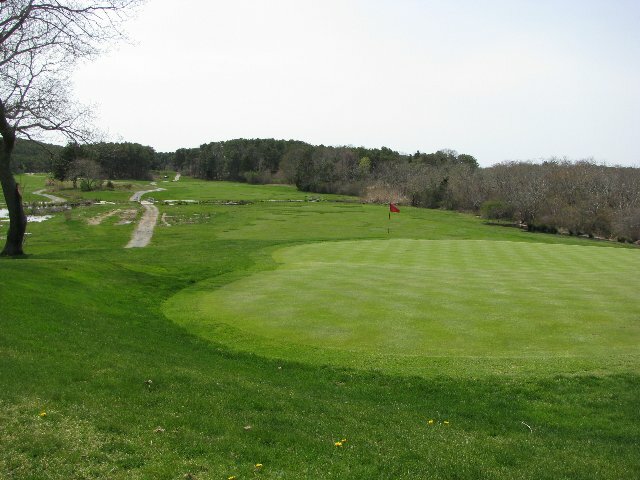 This 1.66 acre building lot is sits high on a hill overlooking the 7th green of Wellfleet's Chequessett Yacht & Country Club's golf course. Close to town and Bay beaches, you can build your large dream home - with a view! Check out the Google map... Here. This lot is listed at $479,000. Call me for details, at 508-237-9545. The last few days have drawn attention of many to the Mass-Save website, where a program of rebates for energy efficient appliances was significantly over subscribed and under planned. That said, rebates aside, this is a good website to get a handle on Massachusetts sponsored energy programs for your home, your business, as well as for building professionals. For individuals, there was info on lighting & appliances, heating & cooling, as well as for building a new house or an addition. Check out the website...Here. Check out the whole article ... Here. Site Coverage - The sum of the gross horizontal area of the floors of a dwelling including the square footage of any permanently roofed accessory structures such as sheds, garages, screen porches and covered decks but excluding unfinished attic areas, unfinished basement areas, and farmer's porches. The new definition will include some areas previously omitted, such as hallways and stairs. Also, by including sheds and covered decks, homes will appear larger than they previously were. This new definition won't be used by the assessors, only by Planning and Zoning. This past month I had the opportunity to go to the Dominican Republic with a team from my church to begin the construction of a new church building for a small congregation in the hills near the border with Haiti. We are replacing a structure that we built 5 years ago that is now way too small for the folks who worship and gather there. We spent a week in the remote village of Cana Segura (check out the Google map of the area... Here), where it was in the 90's every day, where farm animals roamed freely, and where our help was really appreciated. That said, our team of 11, assisted by a few locals, laid about 1500 concrete blocks. Lots of sweat. Lots of fun. 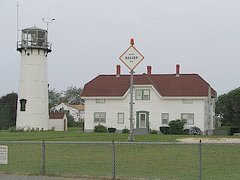 The May 3rd Eastham Town Meeting will address the subject of lot-line setbacks for accessory buildings. 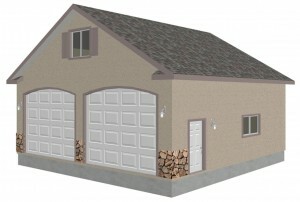 Accessory buildings are non-living spaces that exist in separate structures from the main living structure. The prior regulation stated that accessory structures needed to be at least 8 feet from other structures and at least 12 feet from the side and back sidelines. The new regulations, found in item #26 in the town warrant, state that accessory structures need to be 12 ft, or the height of the building, whichever is more, from the side & back sidelines. The new regulation also states that accessory structures need to be 30 ft from any street or way. The rationale for the new regulation is to control structure density and minimize disturbance to abutters. Maybe true - but these regulations may actually prohibit construction of detached garages on the average 20K+ sqft building lot. 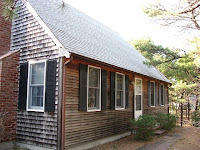 Although termites are considered to be only a moderate concern in Eastham or on the Cape, they are here and they can do lots of damage to homes built too close to the ground and/or have homeowners that have allowed underbrush to pack up against the siding of their homes. Termites love damp, untreated, wood and will move-in if not discouraged. I generally recommend a pest inspection if the home inspector discovers any signs of termite or carpenter ant infestation. Check out this article (and the creepy video) found on the Realtor.org website....Here. 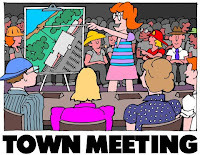 The annual town meeting will be held on May 3rd this year, at the Nauset Regional High School auditorium. The town warrant (the agenda for the meeting) can be found on the Eastham town website. There are 44 items on the agenda, including several pertaining to zoning issues, affordable housing, and town budgets. 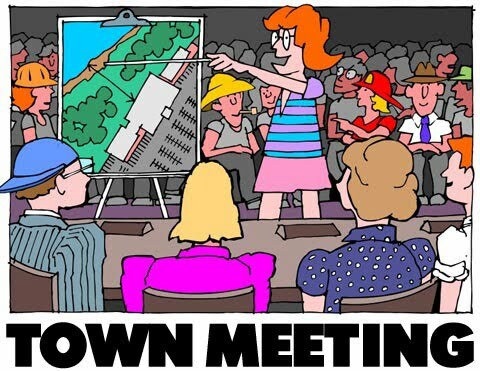 The zoning issues will be discussed on my Blog over the next few week or so. My May Newsletter Is Available Now! My May Eastham real estate newsletter is available. This issue has the Eastham results for the entire first quarter of 2010 (1Q2010). So far, this year seems to be back on the sales track we were on in 2007 and 2008. Also in this newsletter is a new listing in the Herring Rise Association, the Eastham Town Meeting, and my "Spring Break" in the Dominican Republic. Download your copy of my May 2010 newsletter ..Here. The British warship HMS Somerset III, which played a key role in the Revolutionary War, has washed ashore (more correctly - resurfaced) after 232 years. 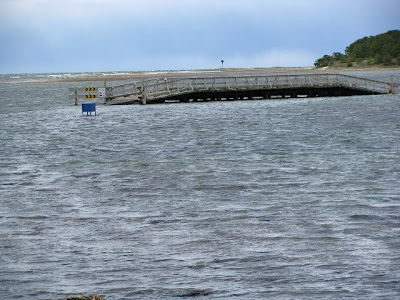 The ship sank in November 1778 off the Cape. 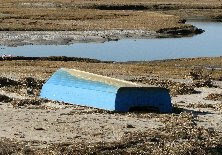 Parts of the ship's hull are evident in the sand off Provincetown. In 1775, Paul Revere slipped past the ship before beginning his ride to Lexington to warn the colonials that the British were on the move. (Remember - '1' if by sea...?). One new aspect of this 'find' is that the National Seashore is using satellite mapping and digital imaging to preserve both the location and design of the Somerset III for future study. Go to the article in the Boston Globe to read this fascinating story. The first quarter of 2010 is over, and the results are in. It appears that the number of sales is back to the pre-2009 levels, ending (hopefully) the serious sales draught of last year. The median sale price in in the 1st quarter was $381K. The data is beginning to 'tell a story' about this 'new' year. Subscribe to my monthly Eastham real estate newsletter to get the rest of the data, a few graphs, and my commentary. Subscribe...Here. What initially caught my eye was the aerial photo of Monomoy Island, that long spit of land south of Chatham, now entirely in the National Seashore. But the rest of the photos of Chatham are very dramatic and well worth a look-see as we move into summer. Check out Chris Seufert's photos on Flickr.com. EASTHAM - NEW LISTING - This 3 bedroom, 2 bath home in the Herring Rise Association is just what you've been looking for! 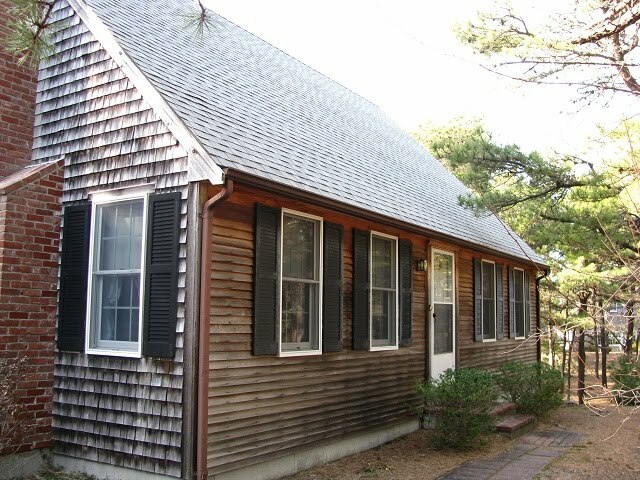 This house has a large living room with a fireplace, updated kitchen, wood floors in the common areas, new roof and septic system, 2 car detached garage, 'spare' living space on the second floor, full basement, a large deck, seasonal peaks of the Nauset Marsh, and association access to the private beach on Herring Pond. This is an exceptional value in an exceptional location. Priced at $539,000. Come see! Go to http://45SpringTide.RobertSheldon.com for more photos, a virtual tour, a map, and more information. Nationally, sales were up 7.9% for vacation homes in 2009, over 2008. This data seems to be counter to the rest of the marketplace, which was otherwise depressed. Read the article in the Wall Street Journal's MarketWatch website.